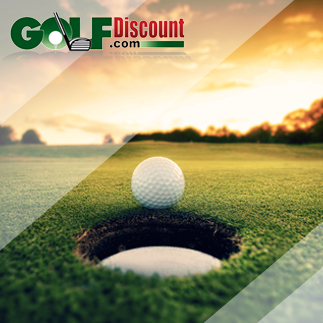 Goodbye Titleist NXT Tour and NXT Tour S.
The new Tour Soft golf ball was introduced to the Titleist lineup on January 24, and, yes, it’s in stock at GolfDiscount.com with a lowest-price guarantee. If you’re even mildly alarmed about the discontinuation of the NXT Tour golf balls, don’t panic just yet. You can still order them here. The Titleist Tour Soft is the culmination of Titleist’s efforts to develop a new mid-priced golf ball that would deliver the kind of performance wanted by many golfers these days. What the company learned through its research and interaction with more than 19,000 golfers was this: There’s a strong desire for better feel without compromising distance. In other words, golfers want both—that magic feel-distance combo. Put yet another way: “These players want the best performing ball for their budget,” Titleist Golf Ball Product Manager Michael Fish told Golf Digest. They may not know a urethane cover from an ionomer cover—nor do they care—but they know feel, and they know they want it. “The players equate feel with control,” Fish added. Titleist is touting its new Tour Soft golf ball as the answer for this large group of golfers and for the mid-priced category (about $30 to $40 per dozen). It comes with at least one bold claim: The Tour Soft is “the softest-feeling golf ball in its category,” said the company. Titleist supports the claim with two design innovations: 1) the largest core (1.60 inches) ever put into a Titleist golf ball and 2) an ultra-thin 4CE grafted cover. “We knew based on breakthroughs being made in R&D that there was an opportunity to deliver a brand new high-performance golf ball that would lead the category in terms of soft compression feel,” said Titleist Golf Ball Marketing VP Michael Mahoney. Of course, personal testing is always the best way to judge a golf ball. With the Tour Soft (available in white and high-optic yellow), it’s not a large investment. They’re currently $34.99 a dozen at GolfDiscount.com. 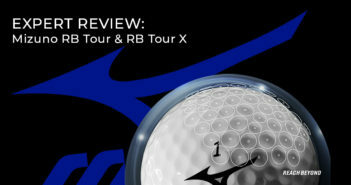 If you decide to try the Tour Soft, we hope it lives up to the hype and ask that you please consider leaving a review of this new golf ball. Your feedback is invaluable. Your new ball replacing the next soft is no better than a top flight cheap ball. You have opened the market to others to copy the next soft. I’m sure your sales is reflecting my view. Bring back the nxtsoft.